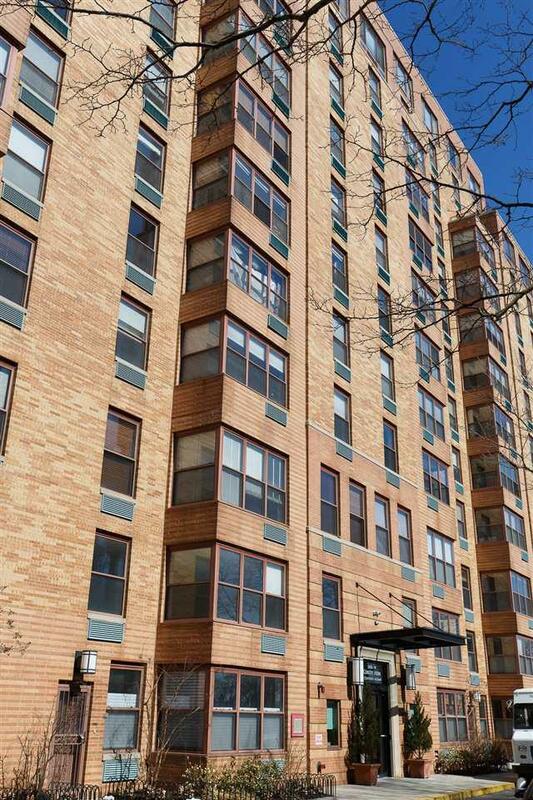 Welcome to one of Hoboken's premier waterfront communities at 2 South Constitution Court. This large split two-bedrooms, 2 bathroom floorpan overlooks the Hudson River promenade with georgous views of the New York City skyline with the Empire State Building as your backdrop. Enjoy a relaxing evening on your private balcony, grilling and opening your favorite bottle of wine. 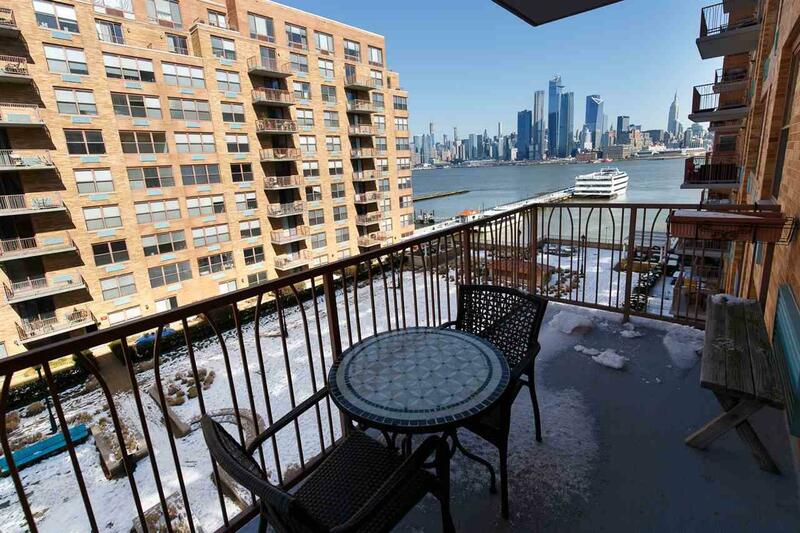 This luxury doorman building is directly located on the Hudson River with the ferry across the street for easy access into NYC. 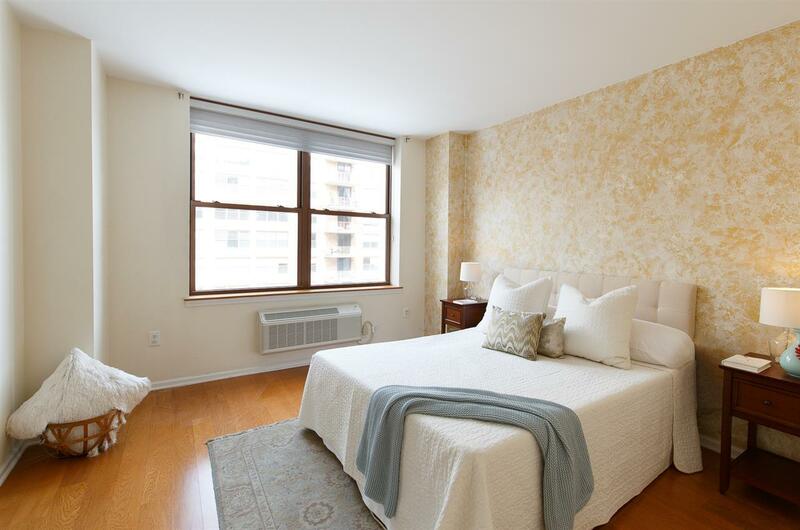 This unit was tastefully renovated recently with newer appliances, extended kitchen bar counter-top, new wall air conditioning units, beautiful hardwood floors and nicely anointed bathrooms. This desirable floor-plan offers a nook area thats perfect for a small office area and offers plenty of closet space throughout. 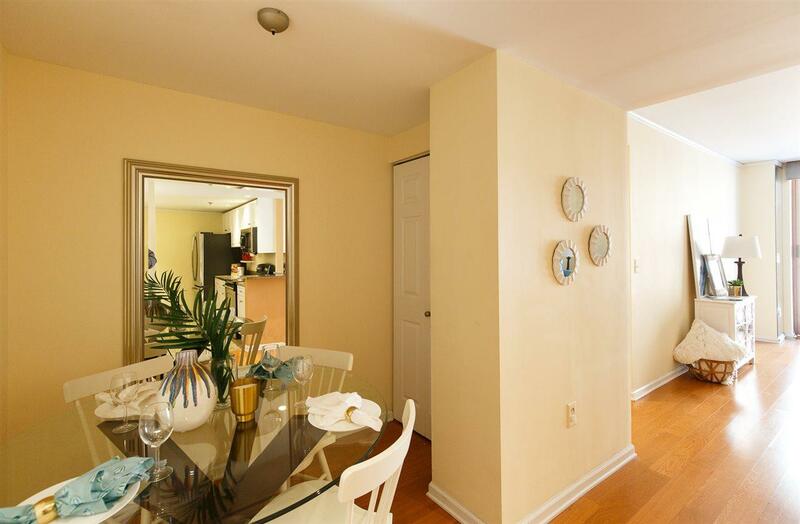 The kitchen offers newer appliances, granite counter-tops, recessed lighting that add to the charm of this unit. Here at 2 South Constitution, they offer a children's playground, gym and on-site garage parking for your convenience.